Only 20km south of Dubrovnik, Cavtat makes a pleasant day trip from Dubrovnik or a good alternative place to stay. The old town of Cavtat dates from the 15th and 16th centuries and curves around a scenic harbour bordered by pebble beaches. The pleasant harbourside promenade is lined with palm trees and there are a few interesting sights within the town. You'll want to take a peek at the Renaissance Rector's Palace and the baroque St Nicholas Church. Cavtat's most famous son was the painter Vlaho Bukovac whose birth house has been turned into a museum. Special events in Cavtat include the Cavtat Summer in July and August which include a wealth of concerts and shows around town. The most popular local event is the Day of Our Lady of the Snows (August 5) and Cavtat also celebrates Carnival. 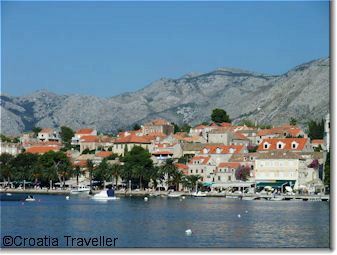 Like so many Dalmatian cities, Cavtat began as a Greek settlement. Called Epidauros, it fell under Roman rule in 228 BC and later became a Roman colony. At the beginning of the 7th century, Avars and Slavs invaded Cavtat and destroyed the town. Refugees from the town formed another settlement--Dubrovnik. In the Middle Ages, Cavtat was part of Dubrovnik and called Astarea but it was lost in 1302. Rich Dubrovnik finally managed to buy back its lost territory in 1426 and from then on it became part of Dubrovnik history. Regular city buses connect Cavtat to Dubrovnik or you can take one of the boats from Dubrovnik to Cavtat that run about three times a day in the summer season. Held at the beginning of September the Epidaurus Festival is a music and art festival that showcases both local and international jazz and classical musicians as well as contemporary artists. The festival also has ancillary activities such as lectures and workshops for budding musicians and artists. There are no shortage of hotels in Cavtat from family guesthouses to more luxurious digs. Find out more about staying in Cavtat. 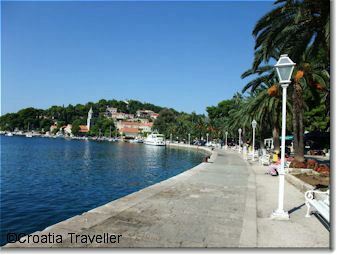 The Cavtat tourist office (tel 020-479 025) is at Tiha 3.